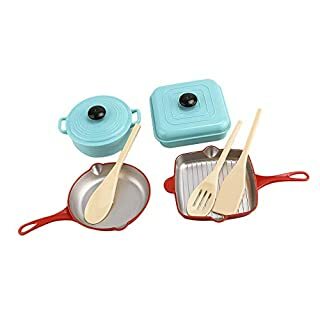 Description: - Made by high-quality Plastic, safe and eco-friendly - 9-piece, Including 1 pan, 1 pancake pot, 1 round stewpan with lid, 1 square stewpan with lid and 3 cooking utensils - Educational kids toy introduces role-play and hand eye coordination. - Great toy for children pretend play, also can be used for decoration - Color: Multi-coloredSpecification: - Pancake Pot Length: Approx. 18cm / 7.09inch - Round Stewpan Diameter: Approx. 10cm / 3.94inchPackage Includes:1 Simulation Kitchen Cookware Set for KidsWe will do our best to guarantee a wonderful service. Description: - 1/35 42mm Cute Girl Figure Unassembly Unpainted DIY Body Kit - Material: Resin - DIY Female Figures Model Building Kits - Making home table decoration with this model - It's fun to painted this model by your selfSize Chart:Height: Approx. 4.2cm/ 1.65inchPackage Includes:1 Set Cute Girl Figure Miniature UnpaintedNote:Due to the difference between different monitors, the picture may not reflect the actual color of the itemWe will do our best to guarantee a wonderful service. 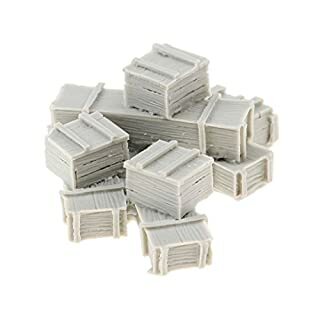 Description: - These resin kits with unpainted - You should paint these kits by yourself - Great accessories for sand table, war game or WWII scenery layout - Scale: 1/35 - Material: ResinSize Chart:Size: Approx. 5 x 3.7 x 2.1cm/1.97 x 1.46 x 0.83inchPackage Includes:1 Piece Simulation Crate Resin Figure (8 Crates included)We will do our best to guarantee a wonderful service. Description: - Environment-friendly PP material - Bottom design transparent powerful sucker 4, ensure the product firm and safe! - Rounded corners, soft and comfortable seat cushions,easy set-up, removal, and storage. - Provides hands free support for your baby during bath time. - The baby that must ensure bath is in adult line of sight all the time.Specification: - Material: PP - Lenght: 36cm / 14.17inch - Width: 33cm / 12.99inch - Height: 19cm / 7.48inchPackage Includes:1 Piece Bathtub SeatNote:When used, the seat sucker is attached to the smooth and even bathroom floor, the bottom of the bathtub or its smooth and flat surface. Pull back hard to verify firmness before putting the baby into the seat.Please allow 1-3cm measuring deviation due to manual measurement.Due to the different monitor and light effect,the actual color of the item might be slightly different from the color showed on the pictures.Thank you!We will do our best to guarantee a wonderful service. Description: - Vintage hollow out metal pieces charms - Antique metal filigree hair stick hair jewelry findings - Decorative metal DIY hair accessories - perfect for scrapbooking, cardmaking and embellishments - Chinese sliver, golden, bronze hair accessories metal platesSize Chart:Style 1 size: Approx. 37 x 30 mm / 1.46 x 1.18 inch Style 2 size: Approx. 93 x 30 mm / 3.66 x 1.18 inchStyle 3 size: Approx. 80 x 35 mm / 3.15 x 1.38 inch Style 4 size: Approx. 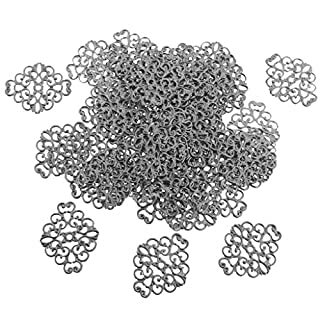 55 x 32 mm / 2.17 x 1.26 inchPackage Includes:50 Pieces Metal Filigree CharmsNote:1. Color might be slightly different due to the color calibration of each individual monitor.2. Please allow 1-3cm measuring deviation due to manual measurement.3. Thanks for your understanding and enjoy your shopping moment!We will do our best to guarantee a wonderful service. Description: - 5X & 3X Barlow Lens 1.25" Telescope Eyepiece M42x0.75mm. - 1.25" Interface: universal for Celestron, Nikon, Orion and other reflector, refractor telescopes. - 5X & 3X Magnification: more detailed at the moon, star cluster, nebul, deep sky and other planet, also perfect for scenery observation. - Fully Multicoated Purple Film: high transmittance optical glass to achive clear views and images. - With M42x0.75mm thread to connect DSLR camera via T ring adapter.Specification: - Material: Optical Glass + Metal - Magnification Factor: 5X + 3X - Lens Coating: Multicoated HD Broadband Purple Film - Thread: M42x0.75mm - 5X Eyepiece Size: 8.5x5.5 cm/3.3x2.2 inch - 3X Eyepiece Size: 8.8x5.5 cm/3.5x2.2 inchPackage Includes:1x Barlow Lens 5X1x Barlow Lens 3XWe will do our best to guarantee a wonderful service. Description: - Brand new and high quality - Heat Erase Refill Pen gives you precise smooth lines - The ink marking can disapear at 60-70 degree centigrade. - Perfect for fabric marking, sewing and ironing,etc. - Always test on a scrap fabric first before marking your work.Specification: - Material: Plastic - Size: Approx. 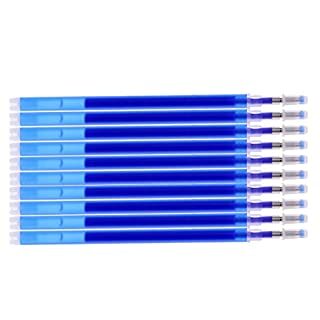 11 x 0.5 cm / 4.33 x 0.2 inchPackage Includes:10 Pieces Heat Erase Refill PensNote:WARNING: Always test this pen on a fabric sample before marking up your project. Some fabrics contain chemicals which may inhibit ink removal.Please allow a little size error due to manual measurement.Please be reminded that due to lighting effects and monitor's brightness/contrast settings etc, the item's color may be slightly different from the pictures. Please understand.We will do our best to guarantee a wonderful service. 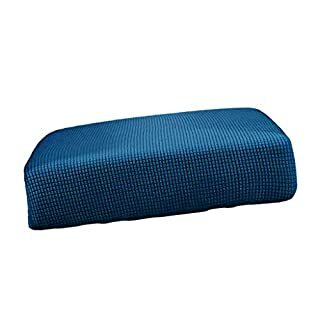 Description: - Material: Super-Soft and Stretchy Polyester - Easy to put on and very comfortable to sit on - Rich color for your choice. - With bandages to adjust size so it's more fit to your cushion. - Machine Wash Cold, Do Not Bleach, Tumble Dry Low, Not IroningSpecification:Size S(LxWxH): Approx.55x50x20cm/21.65x19.68x7.87",Stretching Range: Length(50-70cm/19.68-27.55"),Width(50-63.5cm/19.68-25"),Height(5-25cm/1.96-9.84").Size M(LxWxH): Approx.115x60x20cm/45.27x23.62x7.87",Stretching Range: Length(100-127cm/39.37-50"),Width(50-65cm/19.68-25.59"),Height(5-23cm/1.96-9.05").Size L(LxWxH): Approx.170x60x20cm/66.92xx23.62x7.87",Stretching Range: Length(150-190cm/59.05-74.80"),Width(50-65cm/19.68-25.59"),Height(5-23cm/1.96-9.05").Package Includes:1 Piece Seat CoverWe will do our best to guarantee a wonderful service. Description: - Material: Satin - Folded Dimension: 77.5 x 9.5 cm / 30.5 x 3.7 inch - 1 piece of bride to be sash, 5 pieces of bride tribe sashes. - Gold letters design, sweet love arrow and heart design. 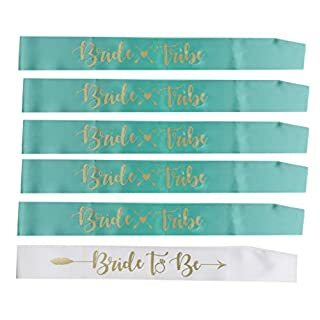 - Perfect accessories and favors for bachelorette parties, hen parties, bridal shower, wedding etc.Package Includes:6 Pieces SashesNote:1. Please allow 1-3 mm error due to manual measurement.2. Color might be slightly different due to the color calibration of each individual monitor.We will do our best to guarantee a wonderful service. 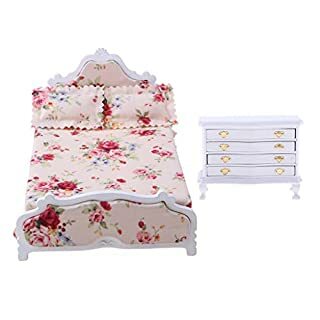 Description: - European Style 1/12 Dollhouse Miniature Bedroom Furniture Wooden Floral Double Bed & 4-Drawers Bedside Table(night table) - Great multifunctional wooden bedside table model; It can be placed in living room,study room or bedroom - Suitable for 1:12 miniature dollhouse; Great decoration for your doll house,creating a colorful life scenes - Well designed and crafted for your children to have the best house-hold companion for all day long playing. - Material: WoodSpecification: - Special Note: This is not infant toy , please take away from kids to avoid eatingSize Chart:Bedside Table (L*W*H): Approx. 11*4.5*7.5cmDouble Bed (L*W*H): Approx. 17*11*8.7cmPackage Includes:1 Piece Double Bed Model1 Piece 4-Drawers Bedside TableNote:Due to the manual measurement, please allow 1-2mm differences in size.Itemcolor displayed in photos may be showing slightly different on yourcomputer monitor since monitors are not calibrated same.We will do our best to guarantee a wonderful service. Description: - 1/24 (75mm) Charm Beach Girls + 1/20 Cool Girl Action Figure Unassembly Unpainted - Material: Resin - DIY Female Figures Model Building Kits - You need to buy a glue in any store to make the model body parts assembly - It's fun to painted this model by your selfSize Chart:1/24 Charms Beach Girl Approx. 7.5cm/ 2.95inch1/20 Cool Girl Approx. 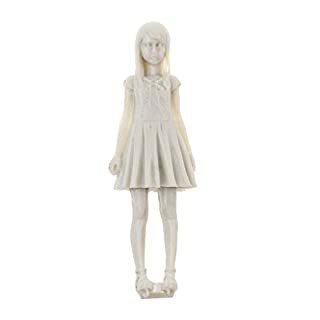 5.5x4.5cm/ 2.17x1.77inchPackage Includes:1 Sets 1/24 Charming Girl Figure Miniature DIY Body Parts1 Sets 1/20 Cool Girl Figure Model Building KitsNote:Due to the difference between different monitors, the picture may not reflect the actual color of the itemWe will do our best to guarantee a wonderful service. Description: - Engineered with high quality 4 element design and offering a generous 48°apparent field of view;perfect for broad field lunar observations;medium sized star clusters;provide a wide range of cloudy nebulas and deep sky targets. 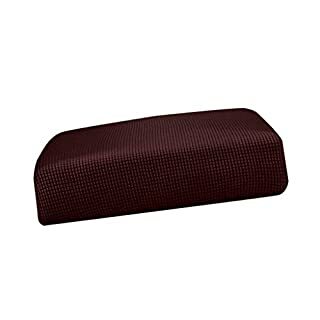 - Soft rubber eye guard that is custom fitted with a bayonet mount and folds down for the convenience of eyeglass wearers and protects glasses from getting scratched. - Fully coated eyepieces with all black interior design;no introduction of additional color for higher magnification;highly achromatic;enhance details of Jupiter;Saturn;Mars;Venus and planetary filters. 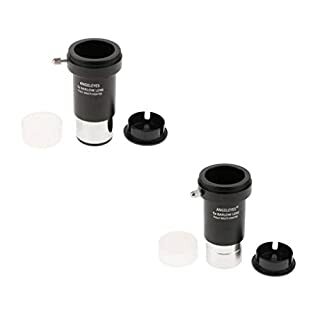 - Features a precision made standard 1.25" barrel for any 1.25" diameter telescope;1.25" astronomy filters and fold down rubber eyeguard for comfortable viewing as well as blocking stray light. 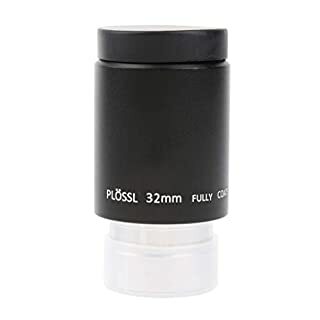 - Comes with sturdy plastic case-proect the eyepiece from dust and moisture.Specification: - Type: Telescope Eyepiece - Focal length: 32mm - Barrel size: 1.25" /31.7mm - Apparent field of view: 48 degree - Coatings: fully multi coated - Lens elements: 4 - Blackened lens edges: yes - MAX Diameter: 38mm/1.5inch - Length: 76mm/3inchPackage Includes:1Piece Telescope EyepieceWe will do our best to guarantee a wonderful service. 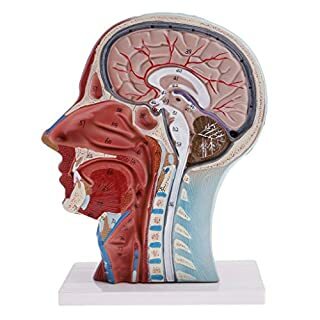 Description: - Median Section of 1:1 Lifesize Human Head & Neck Superficial Muscle Vessel Nerve Model for School Teaching - Highly detailed, numbers marked, deepen the understanding of the structure of the human head skull, vascular structures,etc - Great for school teaching tool, learning display, and collectibles, also will be a great addition to your lab supplies - Material: PVC Material - Color: As pictures shownSpecification: - Material: PVCSize Chart:Approx. 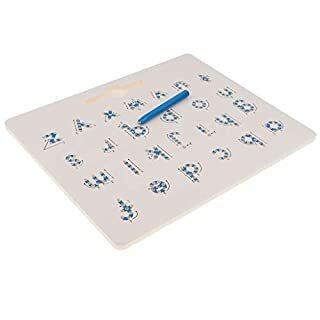 28.5×20×16cm/11.22×7.87×6.3inchPackage Includes:1 Piece Human Head Neck ModelNote:Due to the manual measurement, please allow 1-3mm differences in size.We will do our best to guarantee a wonderful service. Description: - Installed to PCI slot Can install 14cm/12cm/9cm fans Side blown air provide cooling for video card heatsink. - Heatsink on the graphics card, PCB, MOS, memory, especially the graphics card SLI combination , were side-blown. - Side blown also provide cooling for Northbridge, Southbridge to enhance local heat transfer, improve system stability, extend hardware life span. 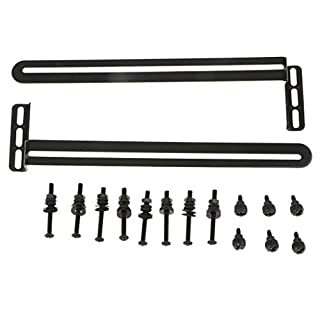 - 1 Pack PCI Side-blown Video Card Heatsinks Cooling Fans Mount Rack with Accessories.Specification: - Material: 207x50x15mm - Size: AlloyPackage Includes:1 Pack Cooling Fans Mount Rack(2pcs Mount with 6 Screws Accessories)We will do our best to guarantee a wonderful service.